As you age, your lifestyle and diet can affect the health and aesthetics of your teeth. Stains form and cavities may develop. Without appropriate prevention and treatment, these dental concerns can eventually affect the appearance of your smile. These days, you have options to protect your teeth, and at the same time, improve your smile with various cosmetic dental treatments – from simple, inexpensive alternatives to complex procedures. You can start with getting your cavity filled with tooth-coloured fillings, also referred to as composite resin restorations. Dental fillings restore teeth that have been affected by decay. Advancement in dental materials and equipment has provided dental professionals and patients with safer and more pleasing options to metallic fillings. Nowadays, when it comes to aesthetics, more and more patients are choosing white fillings because of its numerous advantages. There are three main types of dental fillings available. If you visit your dentist regularly, then you might have heard some or all of them – silver amalgam, gold, and composite resin fillings. Silver amalgam or silver filling is the least expensive among the other types of fillings. That’s why when it comes to costs some patients prefer silver fillings. It is an affordable and effective way to treat cavities; however, they are linked to some health risks and side effects due to the metal material used. Gold fillings are well tolerated by sensitive dental patients. It’s also resistant to corrosion, wear and tear, and tarnishing. However, as what the name implies, gold fillings are among the most high-priced filling materials. Tooth-coloured composite resin looks natural and doesn’t affect your smile, thus they are pleasing to the eye. 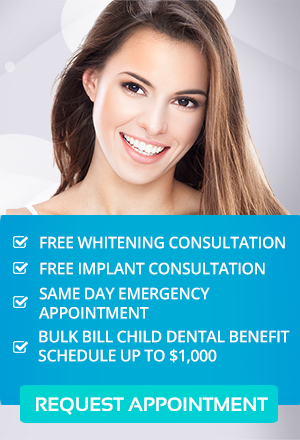 They also offer several benefits over silver fillings or other types of filling restorations. Aesthetics is the major advantage of tooth-coloured fillings. With a high-quality and natural-looking composite material, you can get an aesthetically pleasing outcome. Your dentist will also adjust the colour of the material to resemble the natural shade of your teeth and make the treatment virtually invisible. Composite resin fillings are also excellent for strengthening, improving and preserving the original tooth structure. The material has no mercury and so it is a considered a safer choice when it comes to fillings. In addition, composite fillings are not associated with health risks. On the other hand, some patients may experience mild discomfort for few days after the treatment, as well as sensitivity to hot or cold foods, especially in the first or two weeks following the procedure. These are normal and temporary effects of composite resin fillings. Enjoy the long-lasting benefits of composite resin filings here at Simply Smiles Dental. Using advanced techniques and high-quality materials, we can help you prevent discomfort, inconvenience and expense that may develop from ineffective filling procedure. Visit our dental clinic in Toorak when you have a cavity that needs to be filled with composite material, and we assure you that you can receive the finest dental treatment possible.